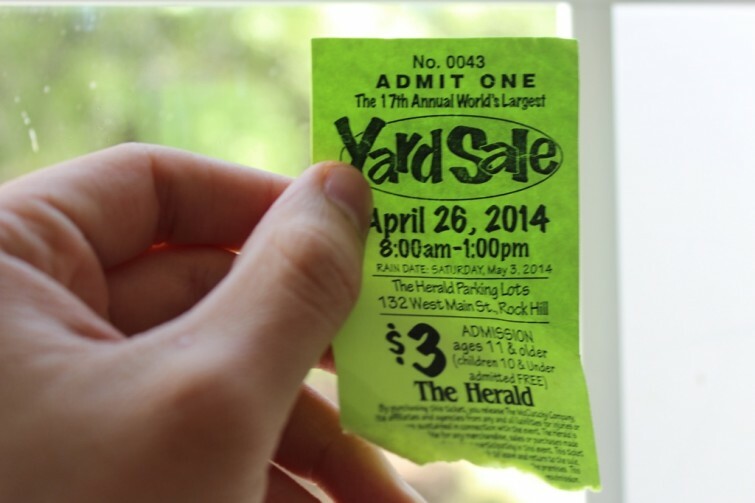 FIRST PERSON | Today was the Rock Hill Herald’s annual “World’s Largest Yard Sale,” where hundreds of individual families and businesses gather to sell their used goods. I went with $300 cash in hand and retro collecting on my mind. Of course, “World’s Largest” is just a tagline. There are many other annual yard sales significantly larger than this one. But 200 sellers in one location was exciting– certainly more so than a typical flea market where the seller intent is to make a profit rather than declutter. I figured it would be appropriate to show the boxes first, because most of the finds today contained elements of mystery. Though I had my iPhone on me, for whatever reason, I didn’t check the value of any items before I purchased them. So almost every purchase was a gamble. The tag said $25, I asked for $20 and the lady accepted. She said that she had owned it for a while and that it was an earlier model. As I expected, she said it was a gift and that she prefers tangible books. 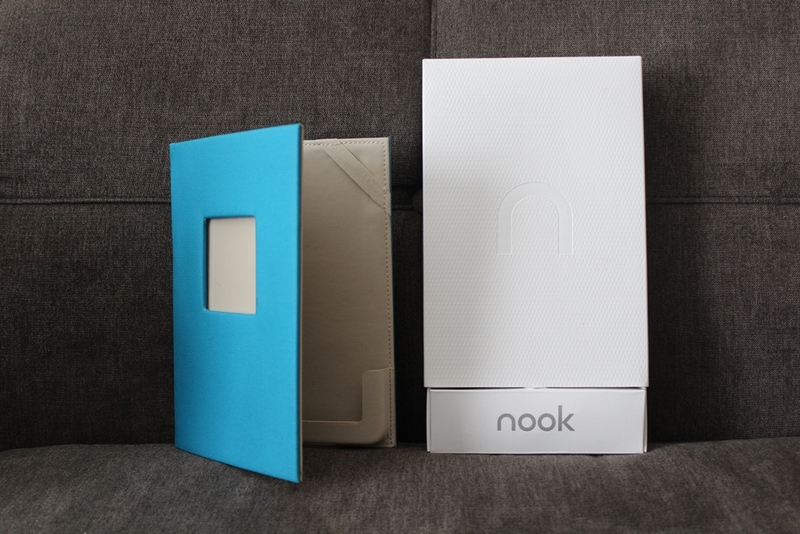 I owned a newer model Nook Color for a couple months, but sold it for the same reason. In hindsight, $20 probably wasn’t worth the trouble. I can probably sell it between $30 or $40– a profit too small to warrant the hassle. If I find someone who is interested in one, I may decide to trade it or give it away as a gift. I’m always on the look out for good kids movies to sell in bundles for extra cash. 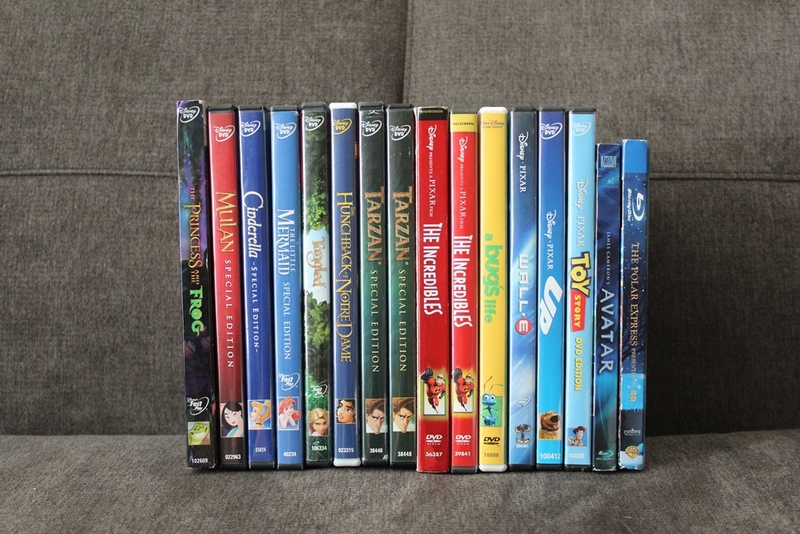 The good Disney movies– the old and new classics– are always in demand. I’ve had a lot of success in the past with selling them in lots around the holiday season. The seller wanted $5 each, but he seemed open to negotiations. S0 I asked if I could get them for cheaper if I bought over ten. $60 total isn’t bad for the entire stack. I’ll likely keep Avatar on blu ray and sell the rest around the holiday season for about $130. This one came from the same lady who sold me the Nook. And it also happens to be kind of a flop of a find, which is especially disappointing, because I had my hopes up on this one. 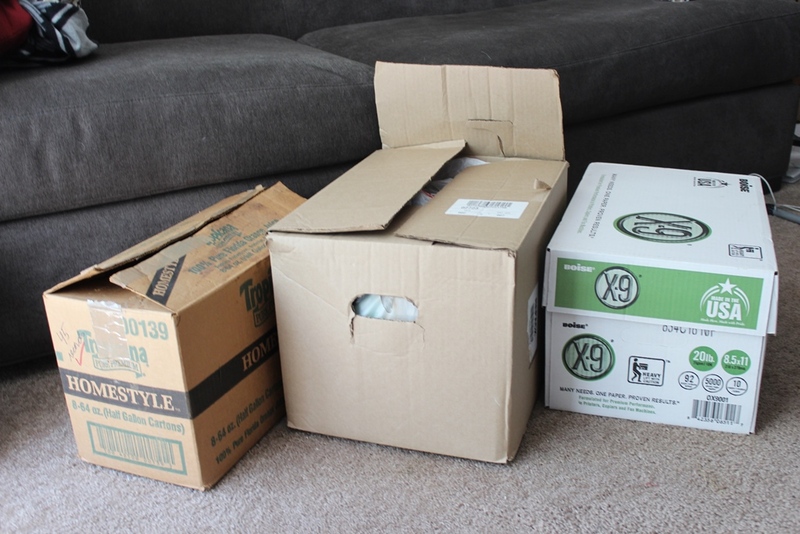 The box was laid on the corner of her table and seemed to hold about 60 45 records. The lady laid one record on top, which she said she researched and that it sold for about $15 and that many of the others sold for about the same. At that point, I should have confirmed this, but I didn’t. She asked for $15, I told her I would give her $30 for the box and the Nook, which she accepted. The mystery was appealing to me along with the idea that there could be a hidden treasure in there. After just a couple minutes of research, it doesn’t seem to be the case. Ten bucks wasn’t a big gamble. 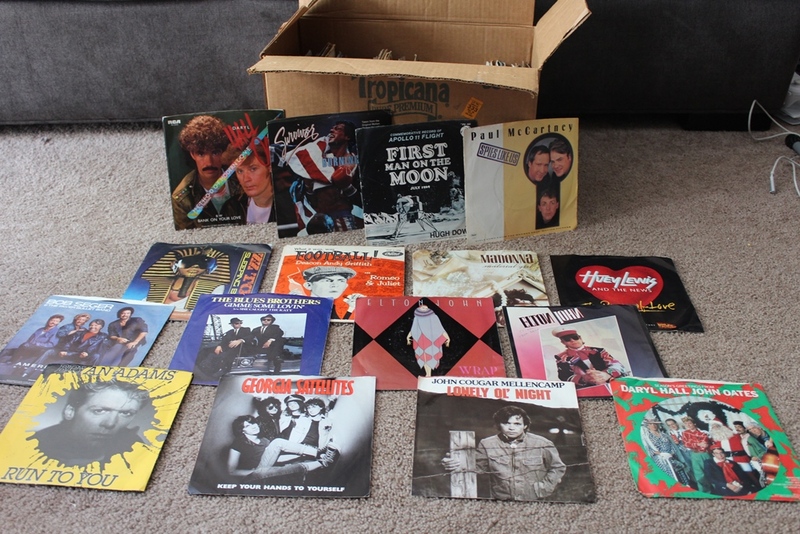 I’ll most likely sort through the box, pick out a few to add to my vinyl collection and list the rest together on eBay. I expect between $20 and $35– again not really worth the time and effort. Video games, as you may know, are my specialty. The first thing I did when I entered the gated yard sale lot was scan for tables with video games. So this was my first find of the day was this lot of games. With the accessibility of video game values on the internet, many sellers base their prices on market value. 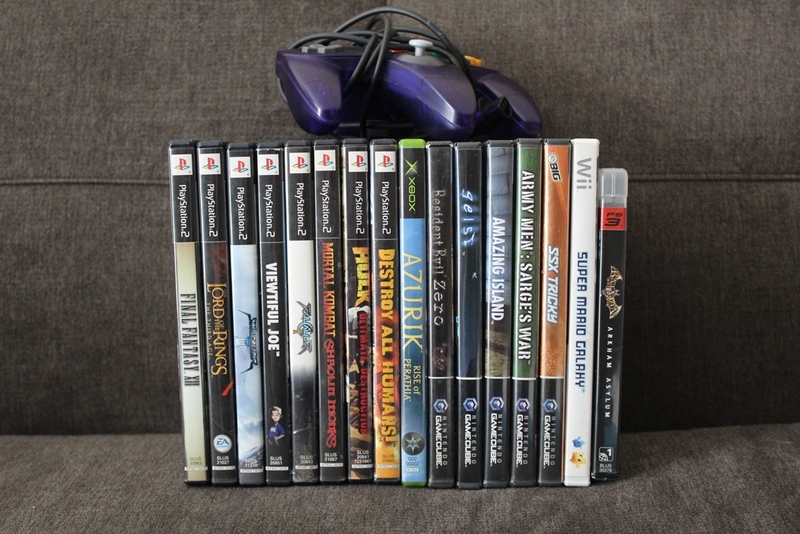 This guy had some really great rarer games, but he priced them accordingly. Nevertheless, I found some great titles for a great deal. Before I closed the deal on the sale, I noticed something interesting under the table. The guy had two standard N64 consoles and five controllers– four standard grey or colored controllers and one grape purple. So I made sure I made an offer on the controller too. According to PriceCharting.com, this lot of video games is worth about $145. Though almost all of the games will remain in my personal collection, and a few will be traded to other collectors. I’m starting to feel like this is becoming more of a piece about some pitfalls to look out for when picking. As with the Legos, I made an amateur mistake. 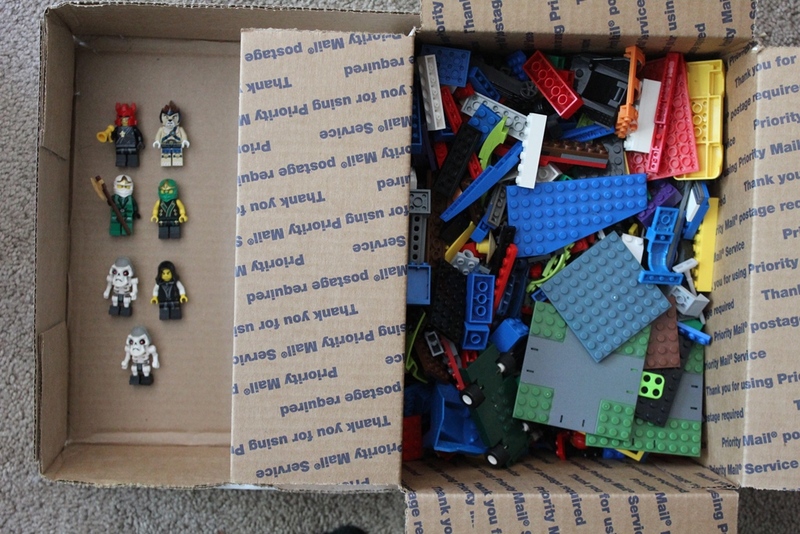 I saw individually-wrapped bags of Legos and immediately asked for how much the seller would take for all of them. I slimmed $6 off of the final price, but I didn’t thoroughly analyze the contents of each bag or even open them. Unfortunately, the Legos were mixed with other junk toys (most of them broken) and the Legos had an unpleasant odor. I sifted through the box and found a couple of neat mini figures, but not enough to make it worth the trouble. I’ll likely keep the mini figures after I clean them and sell the rest cheaply at a yard sale. Remember: when looking for collectible Legos, check the condition and smell of the small bricks first. Only purchase lots that are in good condition and contain a lot of cool mini figures, preferably ones you recognize. I didn’t want to go home without one really special item, so I splurged with a seller who had priced each game based on market value. I talked the guy down from $40. Mario All-Stars for the Wii was always kind of a puzzling release. It was only available for a limited run, selling about $2 million. A 32-page booklet detailing the history of the Super Mario franchise and an audio CD containing music from each Super Mario game were bundled with the game disc and are included with this copy. Because I already own it, I’ll likely use it to trade for a cool game that I’m looking for. 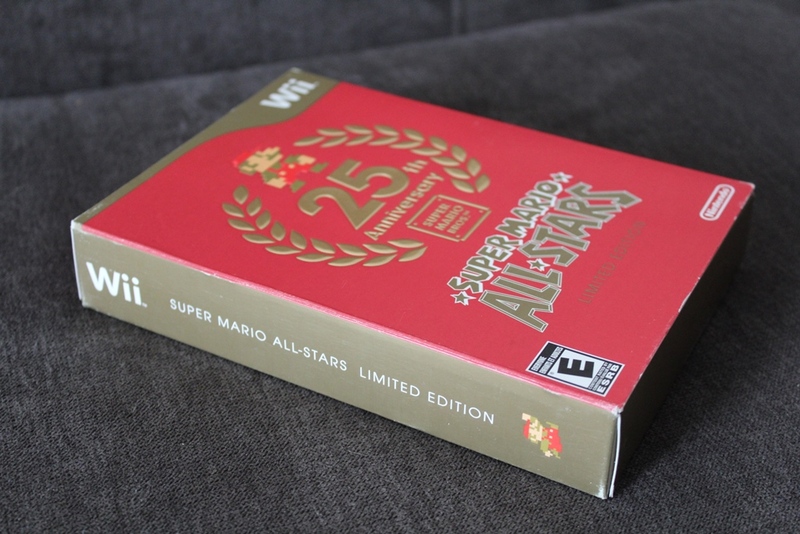 Super Mario All-Stars 25th Anniversary Edition is a must-have for any collector. The verdict is out on this pick as well. 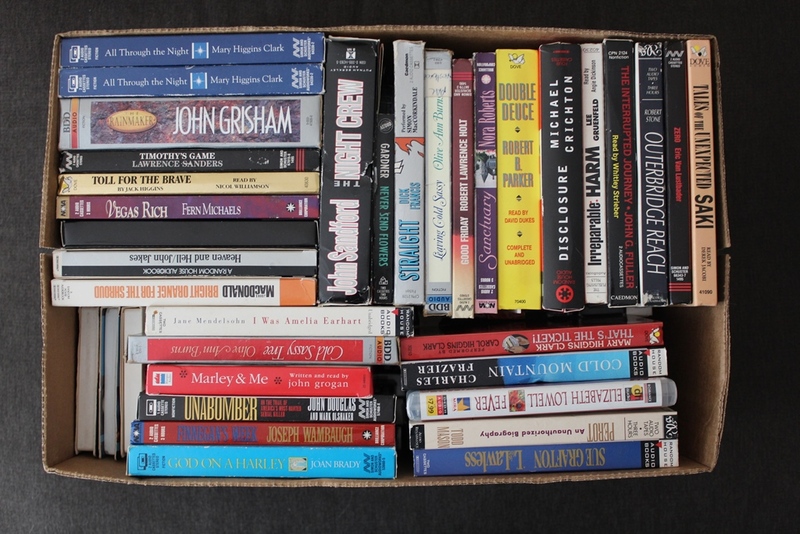 The box, which is deeper than you can tell from the picture, contains over 70 complete audiobooks. Some of them are popular titles, almost all of them are over twenty years old and they’re all in decent condition. I somehow talked the seller down from over a hundred dollars for the audiobooks to $16 in attempt to make it a low-risk sale, making each audiobook less than 25 cents. I’m still in the process of how to approach selling this one. I might sell about 12 of them at a time on eBay or take the entire box to a used media store near my apartment and trade them for store credit.